We know Halloween is over, but "The Mighty Sound of the Southeast", makes us wish it last all month long. There is nothing better than brisk fall air and the sight of a musician dancing to Michael Jackson's Thriller at the 50 yard line. Oh and Pumpkin formations, can't forget about jack-o'-lanterns to scare the kids. 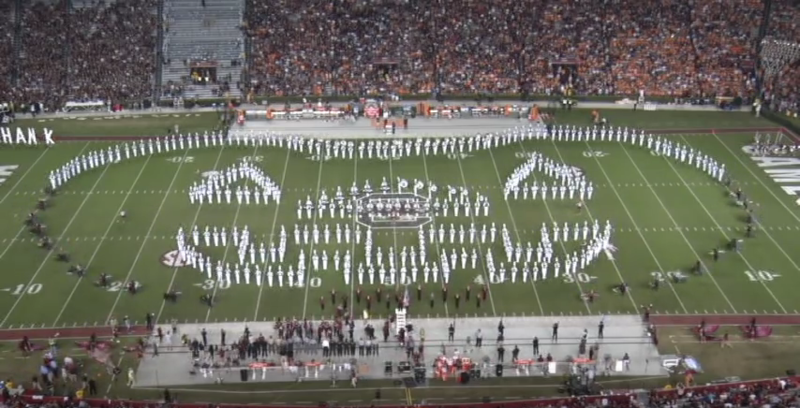 Watch as the Carolina Band shows us how it's done!